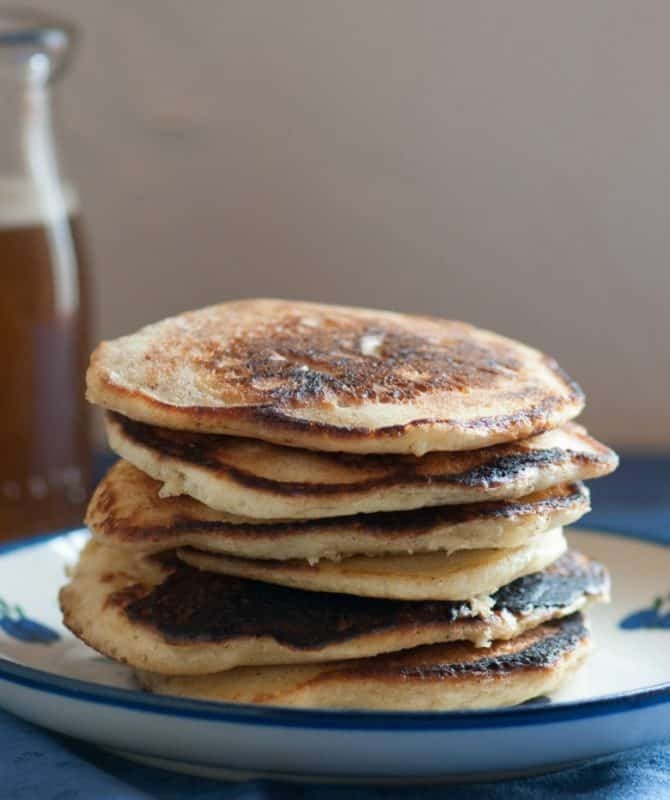 Whole wheat pancakes tend to be heavy but the following recipe is not! Making your own, rather than using a store bought mix, is both economical and healthier. Whether you use fresh ground or store bought flour, this is a great recipe! We buy enough whole wheat berries in bulk to last for one year and store them in 5-gal buckets with oxygen absorbers. As needed, we grind the wheat berries to make flour and use it fresh. This way we have the nutritional benefits of fresh ground flour and the economical savings of buying at a reduced price of bulk purchasing direct from the grower. For more information on preparing grains, see Grain Preparation. We have whole wheat pancakes every morning during the week. No, we are not in a rut and we do have variety! Periodically, chopped nuts are included – on Fridays, we have raisins in our pancakes – on Sundays, we have eggs and biscuits! If not using sprouted flour, soak the flour overnight in 1 1/2 c. kefir and 1 1/2 c. milk. This helps break down the phytic acid in whole wheat which inhibits absorption of calcium in your body. In the morning continue by adding the remaining ingredients, mix well and cook. 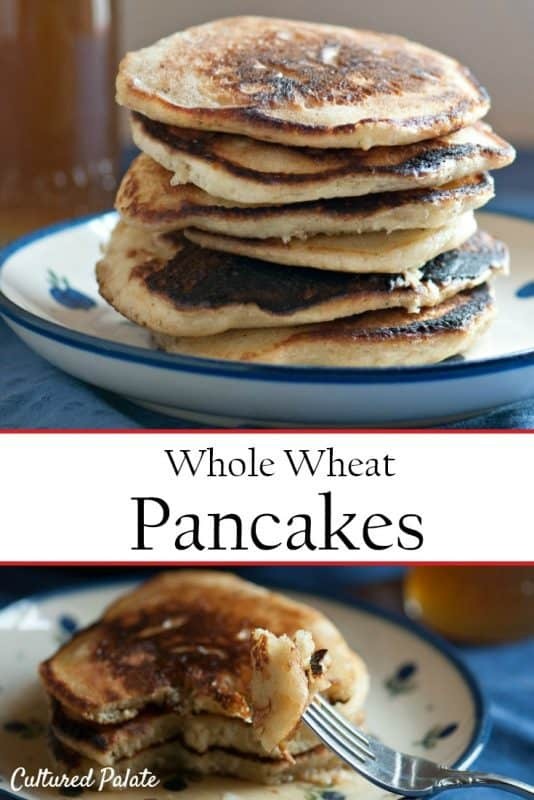 If you’ve tried these whole wheat pancakes or any other recipe on Cultured Palate please take a minute to rate the recipe and leave a comment letting me know how you liked it. I love hearing from you! You can also FOLLOW ME on PINTEREST, FACEBOOK, INSTAGRAM, YouTube and TWITTER. Whole wheat can sometimes make baked goods heavy, but I made sure these are as fluffy as your favorite recipe. Pour batter onto heated griddle and cook until browned turning once for a lighter pancake. Pour 1/4 - 1/2 c. batter onto preheated waffle iron and cook until golden brown. These look so yummy! I am so tired of pancakes from a box, but that is all we make. I am so eager to actaully make some from scratch, and especially whole wheat! Tina, they taste awesome too! Thanks for taking the time to comment. I love that you’ve made pancakes healthy, definitely going to enjoy these at the weekend! 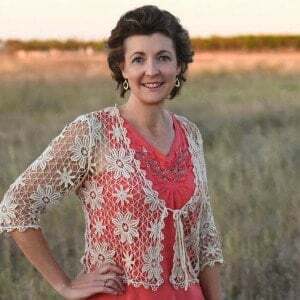 Emily, so glad – food can be healthy and still taste delicious!